Ha’penny was published by Tor in 2007. It was my sixth publushed novel. 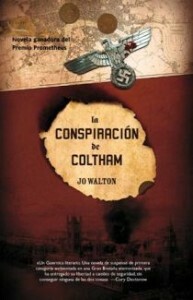 It was published by Corsair in the UK in February 2014. 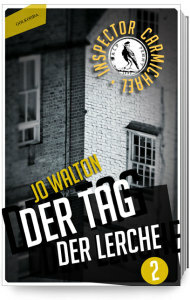 It has also been published in Japanese, Spanish and German. It won the Prometheus Award for Libertarian SF in 2008, and was nominated for the Romantic Times Reviewer’s Choice Award, and the Lambda award for SF with gay/lesbian issues. It’s the second in the Small Change series, direct sequel to Farthing. It takes place two weeks later, and has continuing characters, but it is a different story. 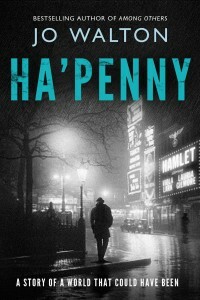 If Farthing is a cosy mystery, Ha’Penny is a thriller. The alternate title in my head is “The Hamlet Bomb”. It’s about an actress called Viola Lark who is cast as Hamlet in an alternate 1949 where WWII was declared a draw in 1941. She doesn’t care about politics, she leaves that to other members of her family. She just wants to act. Then other members of her family ask for help, and then demand it, and Viola gets dragged in despite herself. Meanwhile, Inspector Carmichael is investigating an explosion. 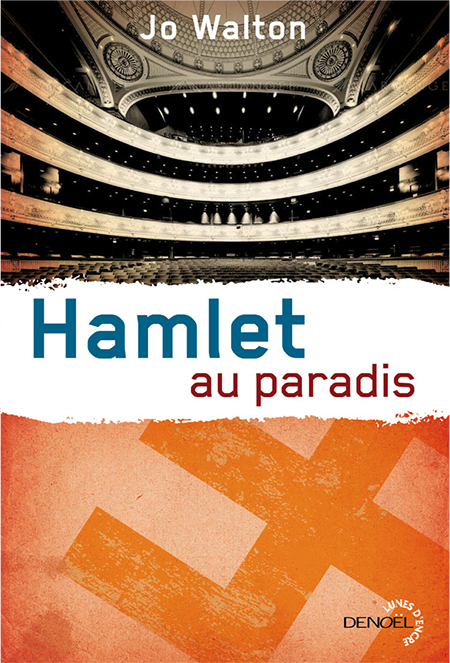 I had the idea for this book while simultaneously reading Five and Eighty Hamlets, a book written by a reviewer who had seen rather a lot of productions of Hamlet over the course of his career, and Nancy Mitford’s Love in a Cold Climate. 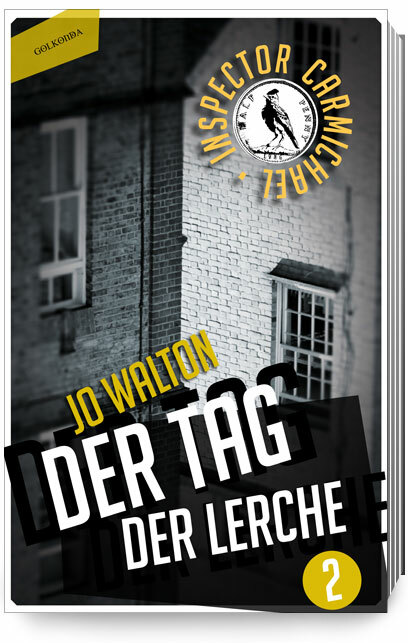 The idea of a theatrical Mitford sister and a plot to blow up Hitler was irresistible. I started it on February 21st 2005 and finished it on May 27th 2006, in 32 writing days. (The reason it took so long is that I got stuck and re-wrote Lifelode in the middle.) I had imagined that because I was using the same formula as Farthing and that was so easy to write that this would be easy to write, but it really wasn’t. Sarah Weinman in the Los Angeles Times. Lyda Morehouse interview with me, mostly about Ha’Penny. 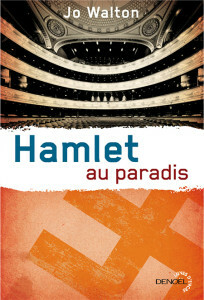 Q 1: Have you ever seen a cross-cast production of Hamlet? Q 2: Do you wish you could? A. Not if I have to be in that world! But otherwise, yes. Q 3. 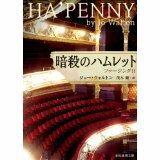 How many productions of Hamlet did you see when you were writing Ha’Penny? A. I’ve lost count, but at least six. I also saw Cabaret twice. I love live theatre. It’s one of my favourite arts. Q 4: So do you like the Mitfords? A. No. They’re like Cadbury’s Creme Eggs, something I used to like once and which now make me feel slightly queasy to think about. I read a ridiculous amount of Mitfordiana while I was writing Ha’Penny, and nothing since. And yes, I know there’s a new collection of letters, it’s sitting on my inpile looking indigestible. Q 5: What’s so fascinating about them anyway? A. Diana said “poor dear Hitler”. And before you try to wrap your brain around somebody saying those three words in order, you should also know she said it in 1985. So was she a monster? Sure. And she was also a human being. I find that a very productive thought. Q 6: If you were writing about people just like the Mitfords, why not use the real ones? A. I feel very uncomfortable writing about real people, even real dead people. And sometimes writing about the essence of people allows you to get closer than trying for literal accuracy. And I wanted a theatrical sister — and it is an alternate world. Q 7: Why are you so mean to poor Carmichael? A. I’m just a horrible person. Sorry.